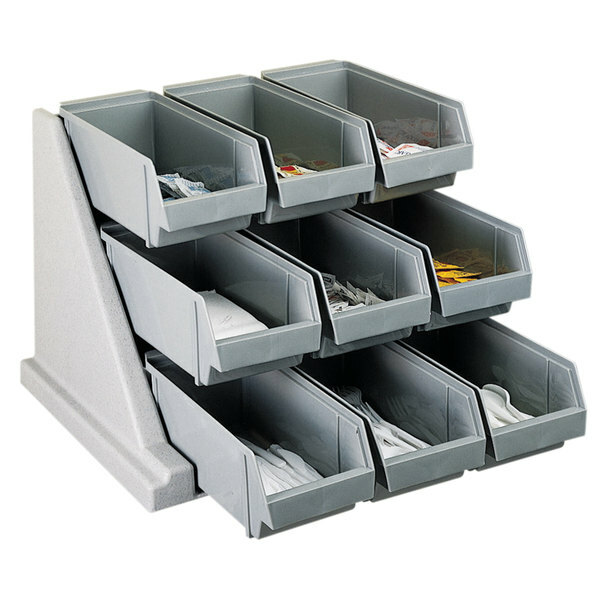 This Cambro 9RS9480 speckled gray Versa self-serve condiment bin stand set with 9 bins is a must have, space-saving addition to not only any coffee shop, convenience store or restaurant, but outside of food service as well! 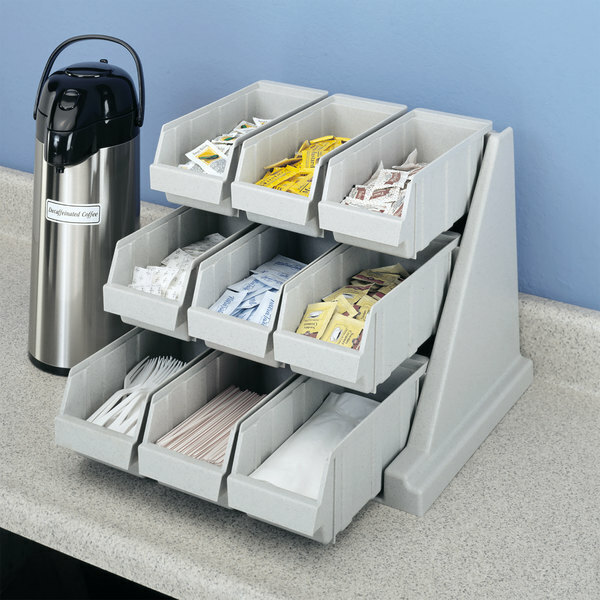 The Cambro 9RS9480 Versa condiment holder stand with bins is great for countertop use, or can be easily mounted to a wall to hold many food service supplies such as sugar packets, coffee creamers, straws, disposable utensils and kitchen hand tools, as well as industrial supplies such as small tools and parts that need to be kept separated and easily accessible. The Cambro 9RS9480 Versa self serve condiment bin stand set is made of durable polyethylene, and measures 20 1/8"W x 21 3/8"D x 14 1/4"H.
Great condiment display piece. Really like that the compartments can be removed to stock items in the back. Gray color is nice, very easy to clean. This is a great multi use piece of equipment. Great for condiments as well as organizing small kitchen tools! Good for storing steak knives and other silverware too!! !